What does your New Zealand working holiday visa look like? We receive this question almost on a daily basis. It’s as if there is a mystery about this electronic working holiday visa. To answer this question once and for all, we decided to write this short article to show you what the actual working holiday visa looks like and how to find it. Your working holiday visa can be found on the Immigration NZ website after you have received their email saying that your visa was approved. To fetch your visa, just log into your Immigration NZ account and click on “[country] Working Holiday Schemes”. There, you will find your working holiday visa. Click on “View eVisa” to get the PDF version of your working holiday visa for New Zealand. 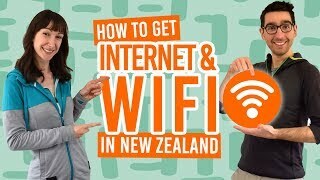 For a full guide to the working holiday visa in New Zealand, check out WorkingHolidayNewZealand.com. Your actual visa is the last part of the three-page PDF document: the part that includes your client number. Check the picture below to see what it actually looks like. WHAT TO DO WITH THIS WORKING HOLIDAY VISA FOR NEW ZEALAND? Print it and have it ready when passing through Immigration and Passport Control on your arrival in New Zealand. Although the Immigration officers don’t always ask for your visa, it’s a good idea to have a copy to show them anyway, when they ask about the purpose of your trip. To get more advice on this part of the arrival process, check out our article on Immigration and Passport Control. IS THERE ANYTHING ON MY PASSPORT? No, an entry stamp is the only thing you will have once you go through Immigration and Passport Control when arriving in New Zealand. If using the eGate, you will not receive a stamp at all. The key is to remember that the working holiday visa is an electronic visa which is linked to your passport number, so there is no need for a proper visa page on your passport. 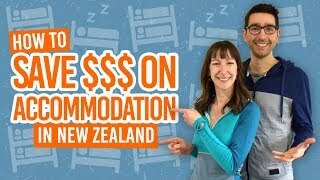 What is the cost of the working holiday visa to New Zealand? The price of the working holiday visa is usually NZ$208. However, the fee is waived for selected countries. The best estimation is by selecting your country and the working holiday visa in the Immigration NZ fee finder. Either way, the visa is quite cheap considering you are coming to the world’s best backpacking country! What is your tax code?